2 Why is Valentine’s Day observed? People celebrates Valentine’s Day every year on 14th February to recognize as a significant cultural, religious and commercial celebration of romance and romantic love in many religions around the world. Even if it is a western Christian feast day, is still popular among the eastern people. It is a day of celebrating love and affection. Love birds on this day greet other by sending greeting cards, flowers and gifts. Some couples go for a date and some others propose each other to get engage from being single. In India and Odisha also, the Valentine’s Day is observed to appreciate love, romance and friendship. Why is Valentine’s Day observed? Although it is not clearly mentioned anywhere about the sole and ought most reason behind the celebration of Valentine’s Day. But it is believed that on this day of 14 February, Saint Valentine, a Roman priest was martyred in 270 BCE. So perhaps in his memory the days observed and later became a tradition of love and affection. The Valentine’s day falls on 14th February every year. But people celebrates for a period of 7 days from Rose Day to Valentine’s Day. The 7 days are framed as 7 special days of different names. Following the trend every and each day has its significance. Rose is the symbol of Love. Specially the boys and girls express their love in front of each other by giving red roses. On this day, rose gifting is a tradition to show love. Girls are fond of red roses and find the boys impressive who propose with a red rose. 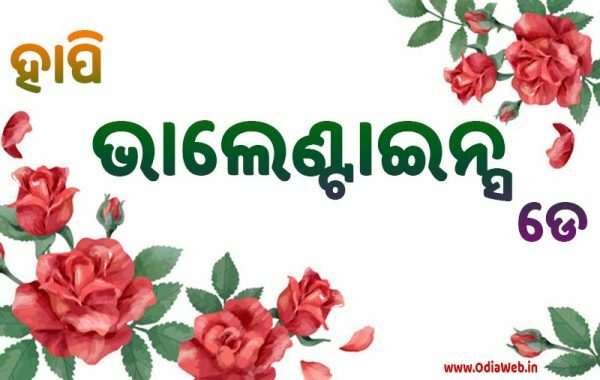 If any one wants to wish, they can use our Rose Day Odia Sms from this link. ‘I Love You, Will You be mine forever” asked by a boy to his girl is the basic scene of the propose day. Proposing the girl or boy after giving a rose is necessary to ask for the permission. Lover observes 8th February as the propose day in India. 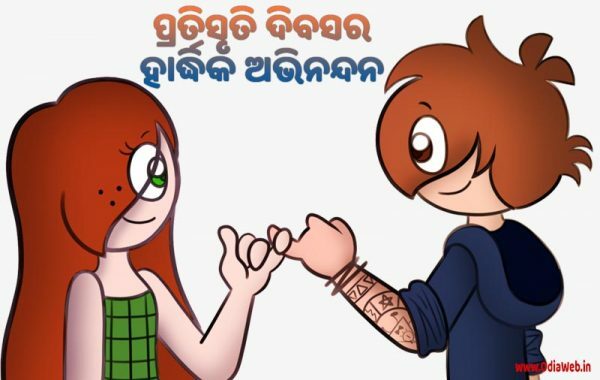 You may send some special Propose Day Odia sms on Valentine’s Day to propose your dream girl or boy in a unique style. After giving rose and proposing it’s time for giving a chocolate. Chocolate the most favorite thing for a girl and girls seldom refuse to accept chocolates. Chocolate expresses sweetness of love and the Chocolate Day. 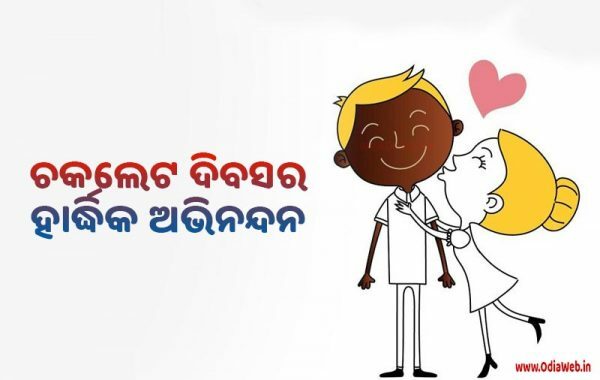 Don’t forget to our biggest Odia Sms Collection on Chocolate Day. A teddy is a gift of love that represents the soft side of affection. Normally girls are gifted beautiful teddies by their boyfriends on this day. Are you looking of Odia Sms on Teddy Day, then you are at the right place. Visit here to wish your near ones with Teddy Day Odia Sms . On this particular day, couples promise each other to remain as the life partner forever. That they will never leave one others hand. They will completely understand each other and will never break up. 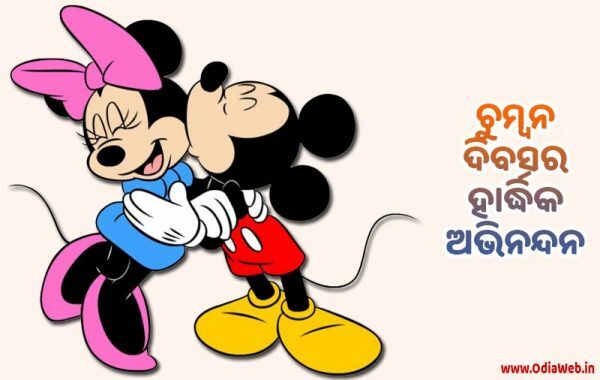 You can download Valentines Day Card for Promise Day Sms in Odia from here. Getting intimate and cozy is another sign of love. Love multiplies several times when you feel the warmth of your partner’s body. So on hug day, couples hug each other to affectionate their intimacy. You can go ahead and download Happy Valentines Day sms and shayari for Hug Day from here. Well after a hug, a kiss is so beautiful. On Kiss Day couple usually kiss each other. A girl feels happiness when she is kissed by her boy and it ascends the love relationship by a thousands time. Wish your near ones with this lovely Kiss Day Odia Shayari and red roses on Kiss Day. After all it comes the Valentine’s Day when two love birds become so close, so intimate that it develops into ever living love story. The 14th of February always goes special for the couples as they spend a complete day along with their sweethearts and loved ones. They go out for a date out or for a candle light dinner where everything seems filled with the color of love, romance and happiness. If you want download Valentine Day Love Sms and Shayari then visit this link here. Don’t let this february 14 to pass. 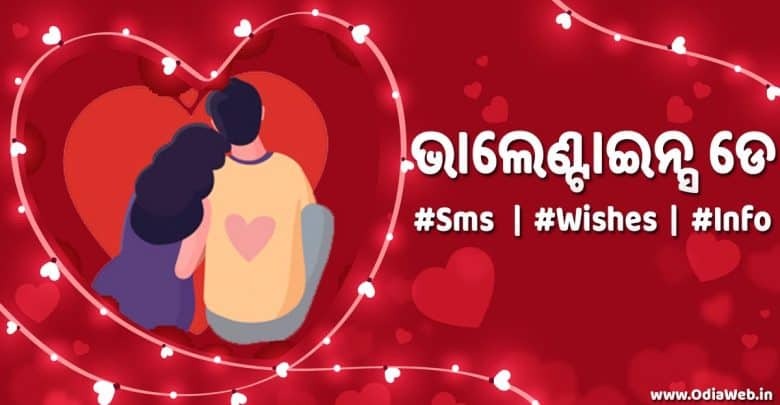 Wish your frinds with Odia Valentines Day Sms and Wishes. True love is a feeling of the soul. There is nothing superior than a beautiful heart filled with love. In Odisha, the Valentine’s day also have a huge craze and is observed mostly by the young ones. It all starts on 7 February with the rose day by offering red rose. Personal greetings, love SMS, shayaris gifts chocolates all are common during the Valentines. 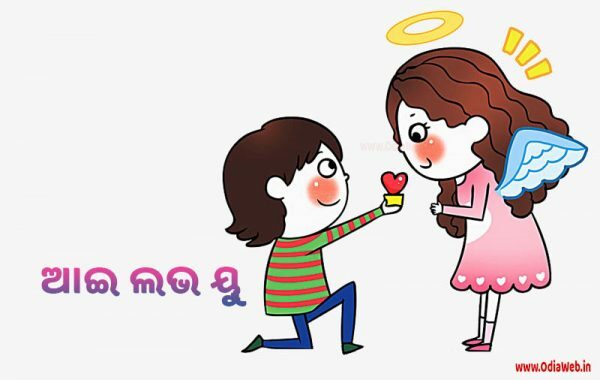 Users can send Valentine Day Odia SMS to girls or to boys on the propose day to impress them. 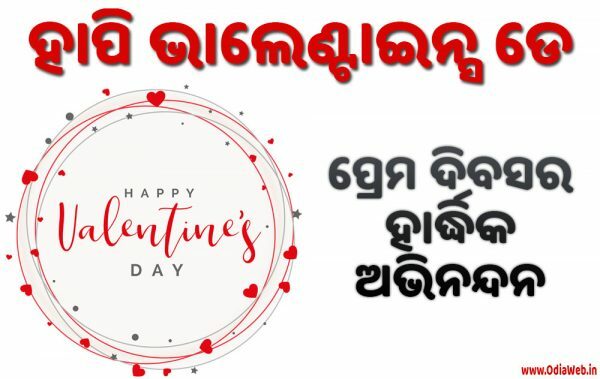 People in Odisha greet each others with Valentine Day Odia wishes those include Odia love texts, Love Shayari and romantic messages. 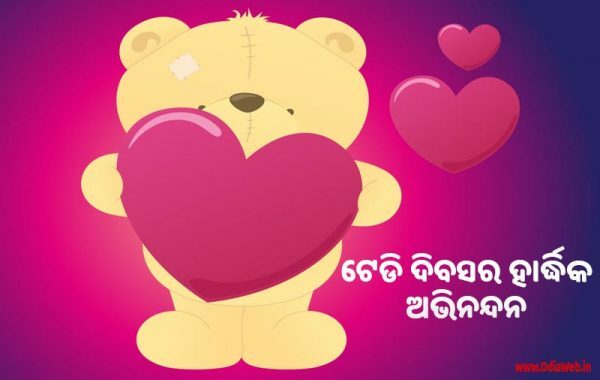 You can download Valentine Day Odia wallpapers and sent to near and dear ones as a symbol of love and admiration. 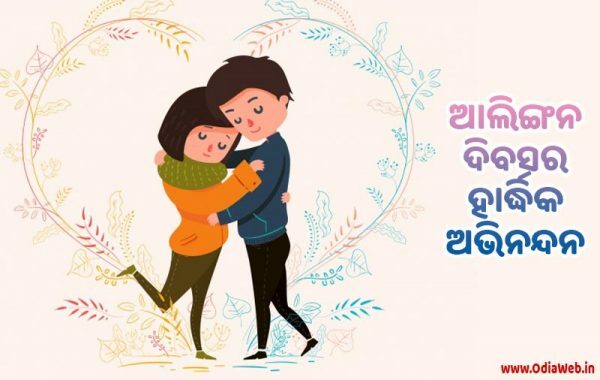 Lovers may share some special Valentine Day Odia Shayari with the one you love to enhance their feelings for you. Don’t consider this as an Public Holiday, but if you are a lover then definitely it is your day only. So enjoy and wish you a happy Valentine’s day 2019. 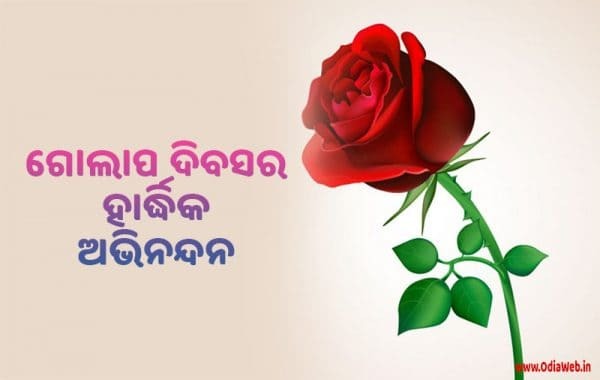 Visit here for Valentine’s Day Odia Love Sms and Valentine’s Day Odia Image.